I am super pleased with this project! 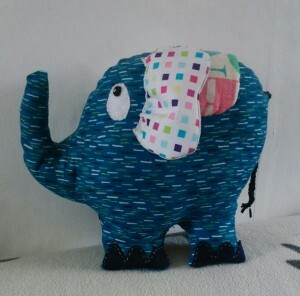 I have knit many things for my little man, but the only thing I have sewn for him until now is this Melly and Me elephant. Until now. 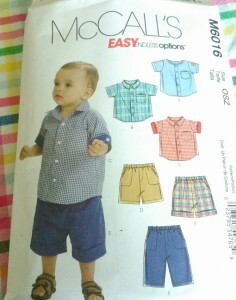 For my birthday I got a brand spanking new sewing machine and for my first project to test it out I decided to make my little guy a pair of shorts using pattern 6016 from McCall’s. 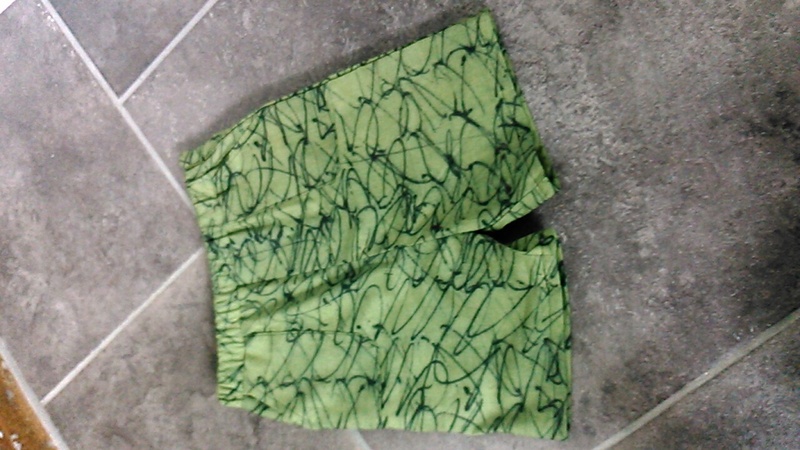 I made the pair of shorts in view d. I thought it would be the perfect small and speedy project to use to get familiar with my new machine and I was right! I don’t know what to rave about more, the machine or the shorts! I am so pleased with both. Let’s look at the shorts first. Pretty basic, I used pen scribbles in pea green by Mosaic, purchased from Fabric Rehab. I needed half a meter. 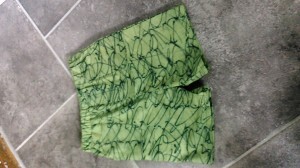 There is only one tiny issue with the shorts and that is my top stitching leaves something to be desired. It’s a curve and I’m not good with curves. 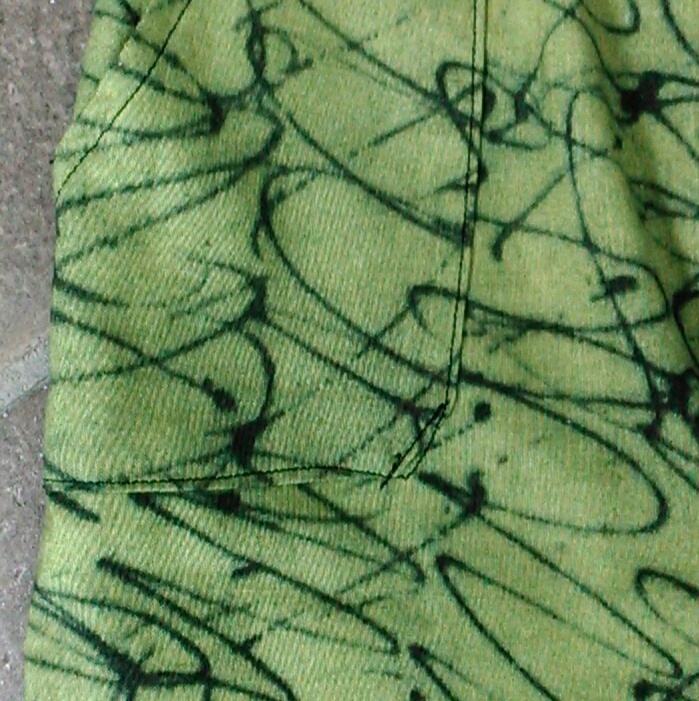 Still, I think I can get away with it, it kinda blends in with the scribbles on the fabric. Fit wise they’re pretty roomy, but they probably won’t be for long, the rate this one is growing! It’s good though, they have room to grow and accommodate the nappy. 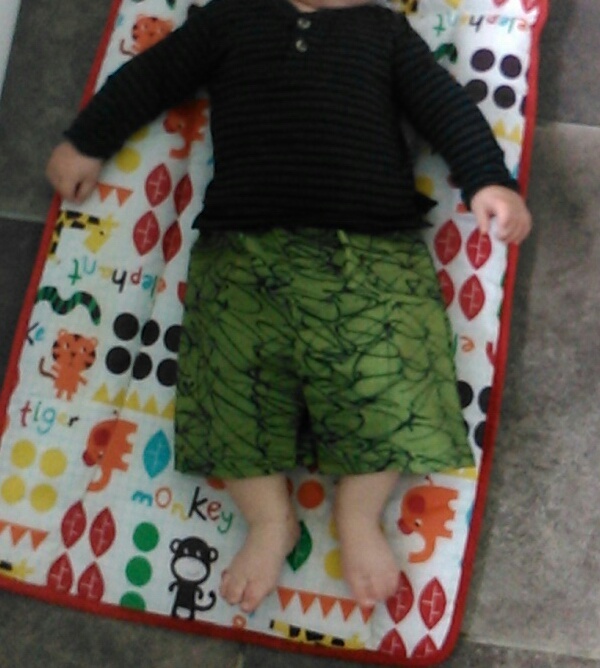 Apologies for the blurry photos he didn’t want to lay still to pose! I have some brilliant wordsearch fabric to make the shirt from the pattern and now that I have my new machine I don’t think it will take me too long to getting to it. Seriously, it was a dream to use. 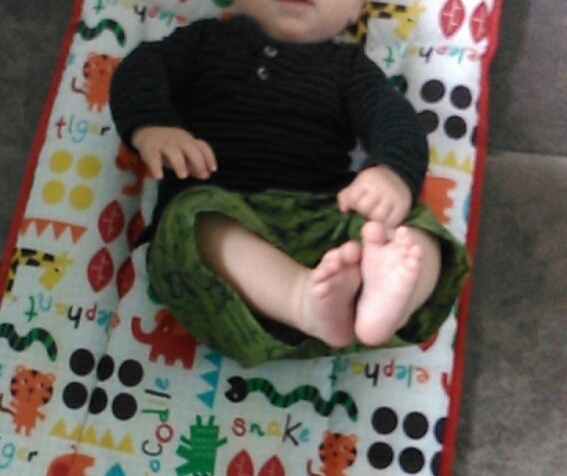 I never knew a sewing machine could be so quiet. I can now sew in the evenings because it is so quiet I won’t be disturbing anyone’s sleep or tv viewing. A whole chunk of sewing time has now become available to me, although this is traditionally knitting or epp time. I may have to timetable each evening for a different craft project ;-). Still that’s a problem for another evening, right now I’m just super happy about having a successful sewing project!